The next negotiations with the company is scheduled for Tuesday, July 28 at 1:00PM. Christopher Shelton, vice president of CWA District 1 for 10 years, was elected CWA president by acclamation of delegates to the union's 75th convention in Detroit. Initial bargaining session with our new owners is scheduled for Wednesday, June 24 at 3:00 pm in South Portland. We’ve heard from our new owner and have a better understanding of his values and beliefs. Here are some of ours. The News Guild has hired Kathy Munroe to be a sector representative. This is a big promotion that will allow Kathy to use her skills to help Guild locals throughout New England, including Maine. The News Guild of Maine bought lunch on November 24 for the newsroom at the Buffalo News to recognize their great work covering the big snow fall and its aftermath. A local sandwich shop delivered 30 subs to the Buffalo News newsroom. Applications are now being accepted through April 30, 2015, for the CWA Joe Beirne Foundation's annual scholarship offerings for the 2015-2016 school year. Some of you have been warned by management that if your time sheet is late you will have to wait until the next pay period for your check. Don’t worry, they can’t do that. 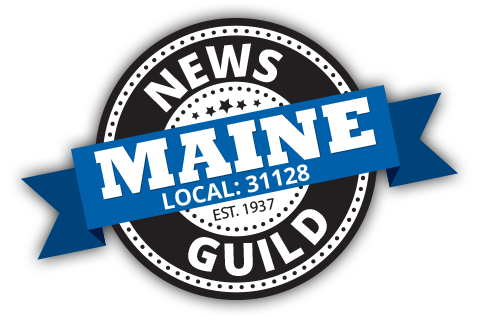 The Ed Beardsley Memorial Scholarship is an annual, one-time award of $1,000 to a student who is a family member of the News Guild of Maine, Local 31128.